Hiddleswift hire out entire cinema for date. 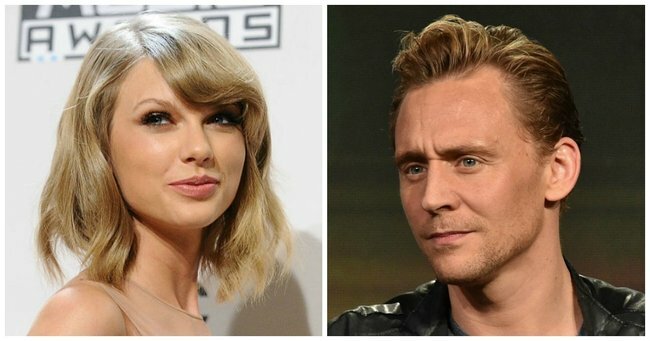 Taylor Swift's romantic Aussie date with Tom Hiddleston and Chris Hemsworth. There’s really nothing worse than attempting to cuddle up to your significant other during a romantic movie date, only to be constantly pestered by the popcorn-rustling, whispering and text messaging of other movie-going people. Luckily, Tom Hiddleston and Taylor Swift have a tactic for dealing with such an annoyance, and it involves booking out an entire cinema so that no COMMONERS can intrude into your special moment. The pair, currently residing on the Gold Coast while Tom films his next movie, hired an entire movie theatre to watch Ghostbusters. OK, so they weren&apos;t entirely alone -- their celeb pals Chris Hemsworth and Mark Ruffalo crashed their romantic date. It was the first time TayTay has mingled with Aussie star Chris, with a source overhearing the singer introducing herself to the Thor actor. "Hi, I’m Taylor, nice to meet you," she was heard saying. Celebrities: they&apos;re just like us. The date comes just days after Hiddleston finally confirmed his relationship with Swift (even though those endless paparazzi issing pics were a dead giveaway, you guys). "The truth is that Taylor Swift and I are together, and we’re very happy. It’s not a publicity stunt," he told The Hollywood Reporter. Sure, when you&apos;re hounded by paparazzi at every turn, it might be nice to escape for a while with a nice box of popcorn and a frozen coke for a few moments of peace. But really, Hiddleswift, have you ever heard of Netflix? I&apos;m not sure if you know this, TayTay, but going to the movie involves GETTING OUT OF BED and actually putting on some suitable clothes to be seen in public -- two of my least favourite activities. Everything you need to know about Taylor Swift vs. Calvin Harris.